REST (Representational State of Transfer) is a lightweight option for developing web services the uses the HTTP protocol –a fact that makes is simpler with less overhead than a web service that uses the SOAP protocol. 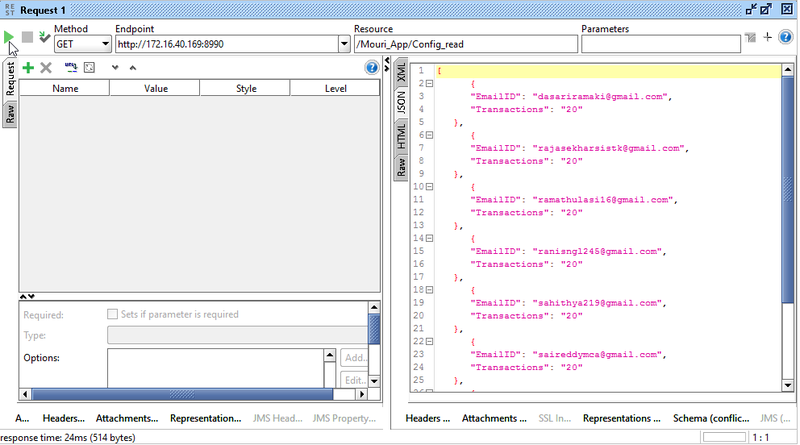 It is an architecture style for for creating network based applications. 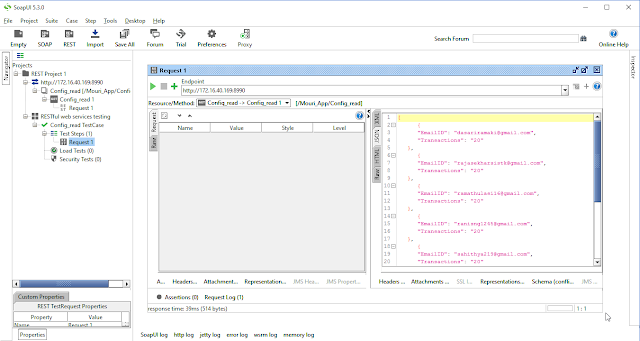 REST uses various representations to represent a resource like Text, XML and JSON. JSON is now the most popular format being used in Web Services. 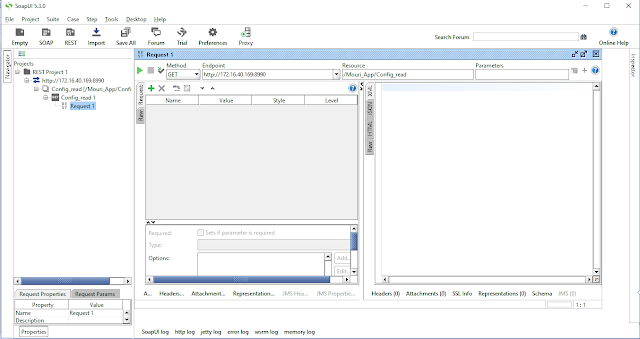 There are mainly 4 methods involve in SOAPUI Testing like Get, POST, Delete, and PUT. 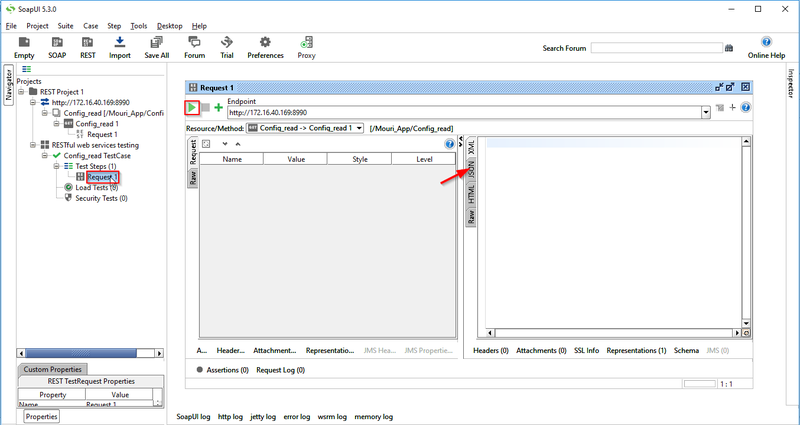 1.GET- The GET method is used to extract information from the given server using a given URI.While using GET request , it should only extract data and should have no other effect on the data. 2.POST- A POST request is used to send data to the server, for example, customer information, file upload, etc. using HTML forms. 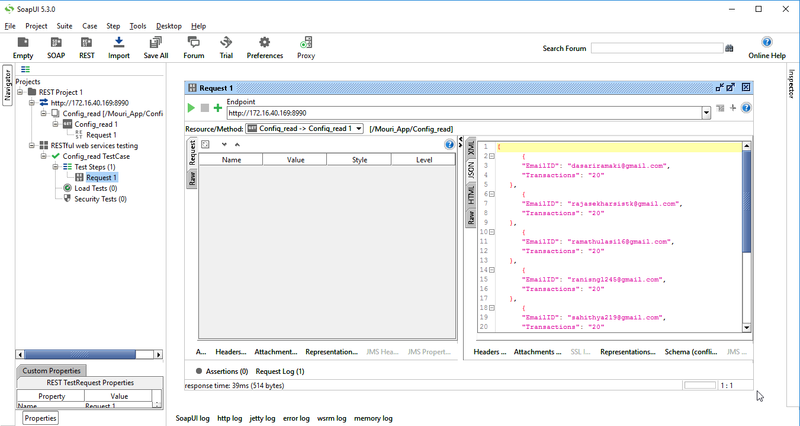 3.PUT- Replaces all current representations of the target resource with the uploaded content. 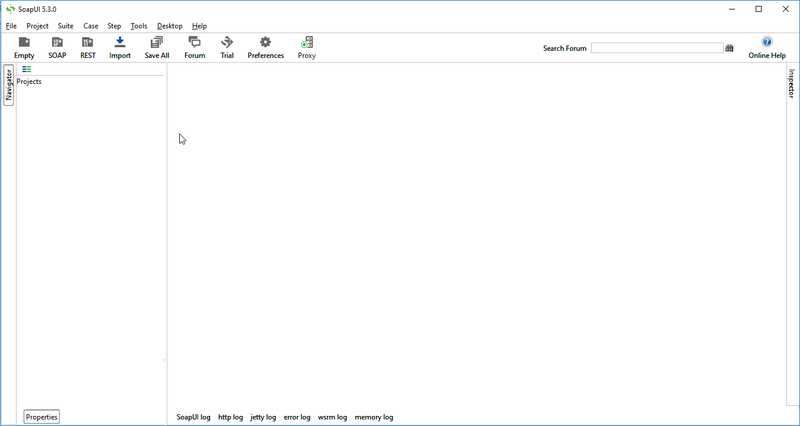 4.DELETE- Removes all current representations of the target resource given by a URI. 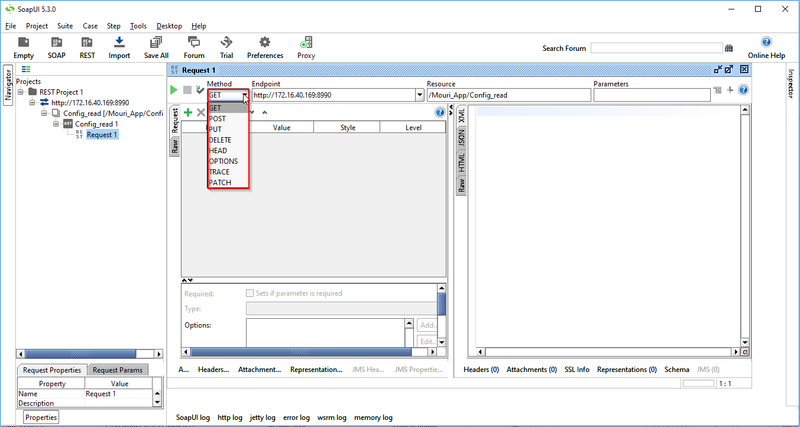 5.OPTIONS − Used to get the supported operations on a resource. 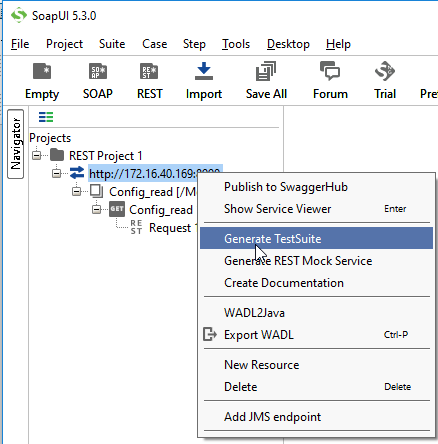 Steps for Testing RESTful Web Services using SoapUI tool. Step3: Create a new project. 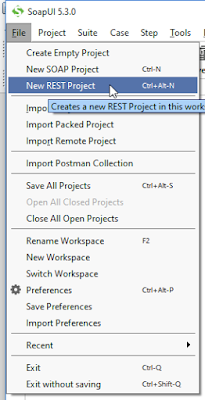 Follow the path: File >> New REST Project or just click anywhere in soapUI tool and use ‘Ctrl+Alt-N’ to create a new RESTproject. Step4: After clicking New REST Project it will shows pop-up which looks like as shown in below. Step5: Give the proper URl, here i am giving http://172.16.40.169:8990/Mouri_App/Config_read, you can also deploye your project http url . 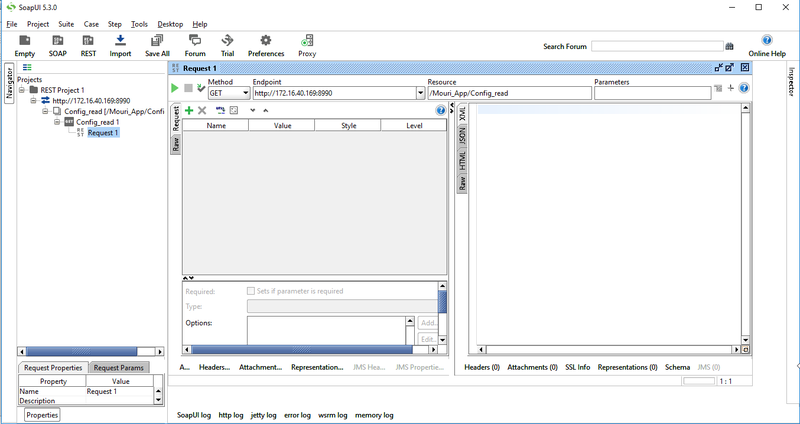 Step 7: there is so many methods displayed here, select the required method. Step 8: Then Submit the Request to specified end point URl i.e Click on run button then The JSON Data Will be Displayed left side. 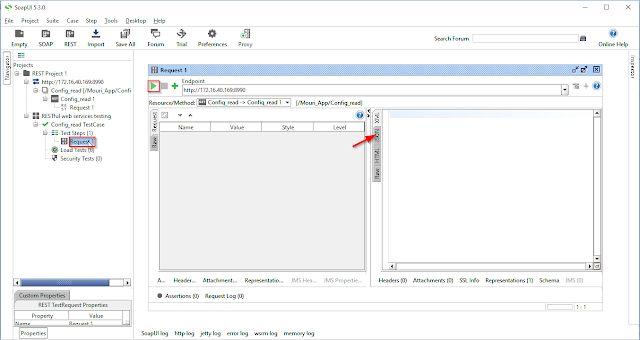 Step 9: Now, how to test the web services in soapUI tool! 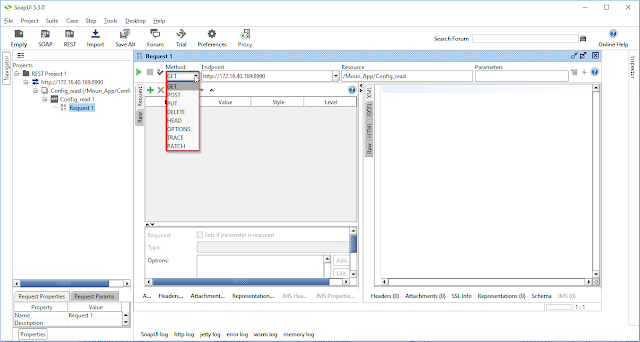 Within the project, Testers can create a test suite by performing a right click on the project, and select New TestSuite. 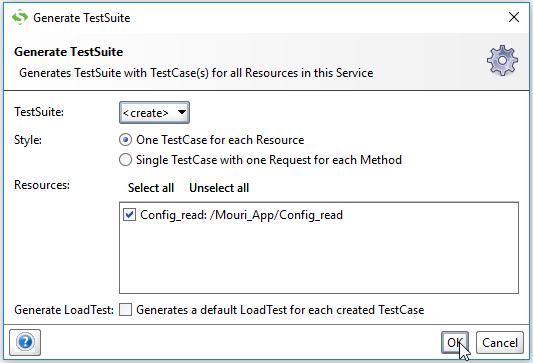 Step 11:Enter the name of the test suite or By Default it gives TestSuite1 but i here i am changing to RESTful web services testing and press OK. 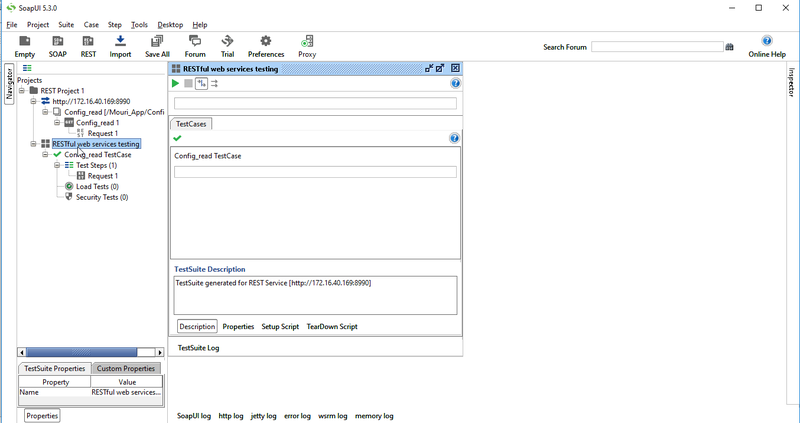 Step 12: The created test suite is displayed in the navigator pane as shown below. 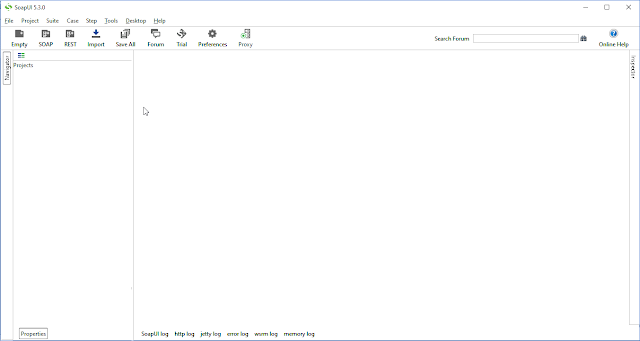 And The test Suite window opens in the Right side. If you want to test more, please refer Assertions Topic in the SOAP Webservices.